It was one of the best surprises Joanne Harris could have experienced at the Billy Graham Evangelistic Association of Canada’s Avalon Celebration of Hope with Will Graham in St. John’s, NL. Joanne was among the hundreds of Newfoundland Christians who volunteered to take our training and then counsel people as they responded to Will Graham’s invitation to commit their lives to Jesus Christ. To her surprise, Joanne found herself counseling three girls from the St. John’s elementary school where she teaches. Two of the girls, sisters Sarah*, 9, and Kaitlyn*, 13, are students in her classes. 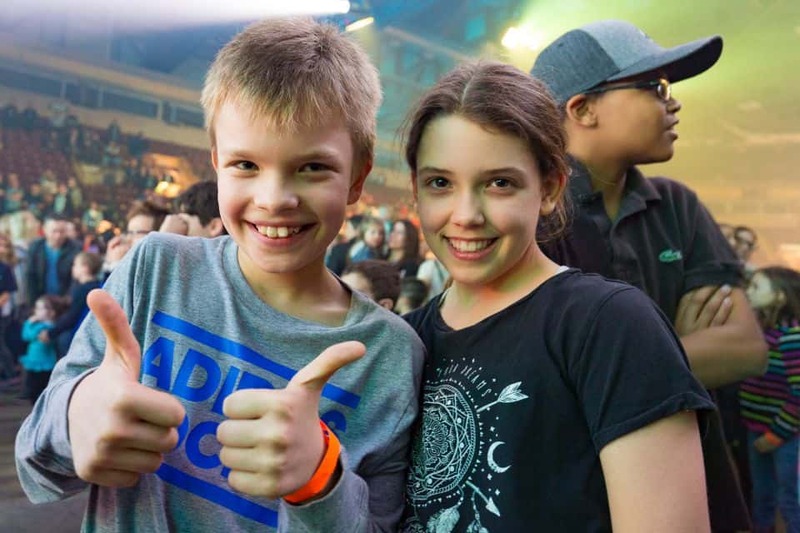 “Because they know me from school, they came up to me on the floor (of Mile One Centre, where the Celebration’s three nights of music, testimonies and Gospel presentations took place Nov. 2-4),” Joanne says. 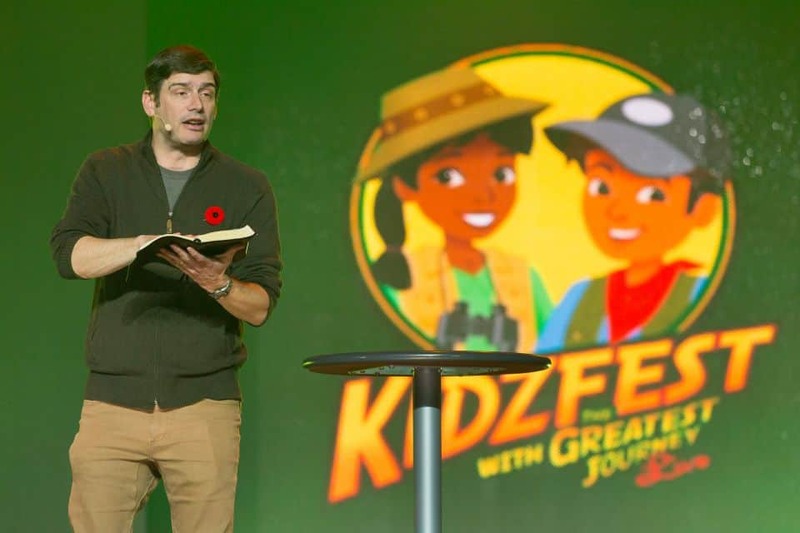 Will Graham preaches at KidzFest in St. John’s, Newfoundland. 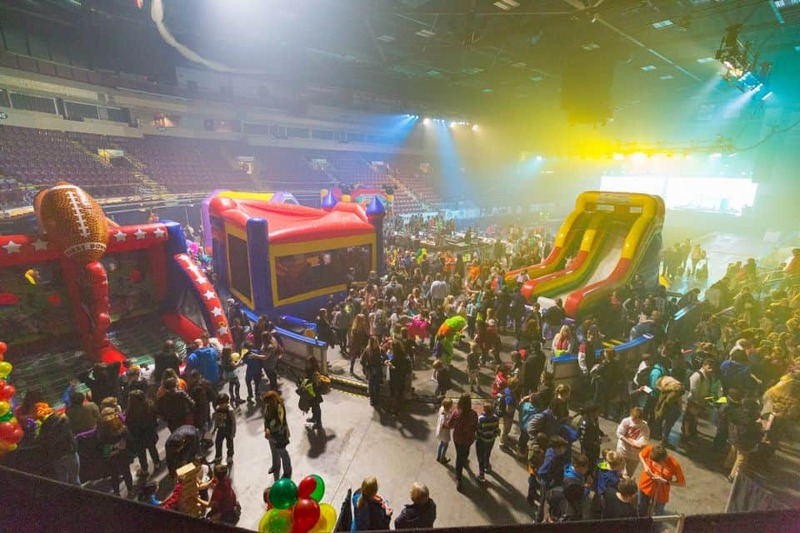 Including earlier evangelism and discipleship training events, nearly 750 people responded to invitations to place their faith and trust in Christ at the Celebration, which attracted almost 6,500 people to Mile One Centre from the Avalon Peninsula and beyond. 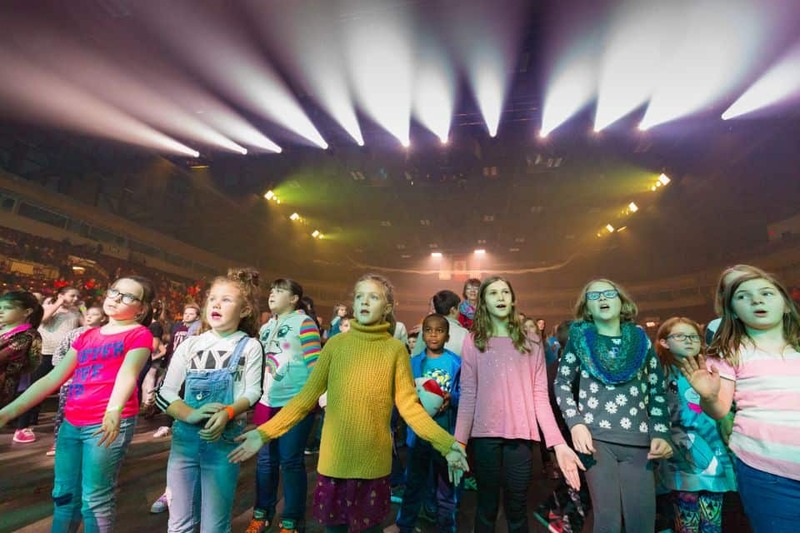 Another 21,500 people from around the world watched the Celebration’s outreach evenings online. We praise God that 165 of these “live streaming” viewers responded to the Gospel message. Please visit CelebrationOfHope.ca to see more photos and read more stories about what God did at the Avalon Celebration and an earlier Celebration in the tiny Nunavut community of Rankin Inlet. As we prepare for more evangelistic events in southern Ontario and the Arctic, please join us, through your donations and prayers, in telling Canadians about the hope that can be found only in Jesus Christ.